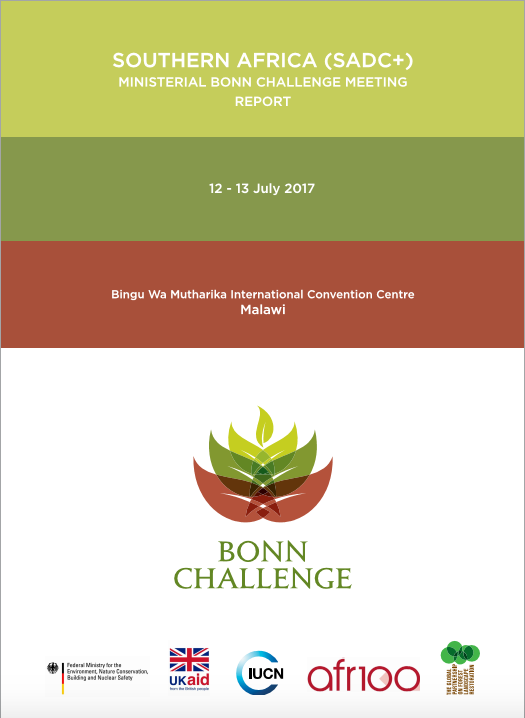 The Bonn Challenge is a global aspiration to restore 150 million hectares of the world’s deforested and degraded lands by 2020. To date, 150.03 million hectares have been pledged to the Bonn Challenge and eighteen African nations have contributed more than 75 million hectares. In the SADC region, this includes 17.5 million hectares: 8 million hectares by 2020 from DRC, 4.0 million hectares for Madagascar, 4.5 million hectares by Malawi, and 1.0 million hectares from Mozambique by 2030. The Bonn Challenge is an implementation vehicle for national priorities such as water and food security and rural development, while simultaneously helping countries contribute to the achievement of international climate change, biodiversity, nd land degradation commitments. The African Forest Landscape Restoration Initiative (AFR100) fosters regional collaboration on forest landscape restoration and the Bonn Challenge as well as other targets and programmes. It aims to bring 100 million hectares into restoration by 2030. Contributions to the Bonn Challenge and to AFR100 are mutually reinforcing. Malawi and Mozambique have experiences to offer to the region from the assessments of restoration opportunities they have undertaken. These are providing information on restoration interventions and the multiple benefits they will bring, which will guide implementation of their Bonn Challenge and AFR100 commitments. To further raise ambition on forest landscape restoration and the Bonn Challenge in the Southern Africa region, especially among the Southern African Development Community (SADC) member countries, the Government of Malawi hosted a Ministerial Roundtable at the Bingu International Convention Centre in Lilongwe, Malawi, from 12th to 13th July 2017, with organisational support for this event by the International Union for Conservation of Nature (IUCN).